It’s no secret we love to read and we also love to explore, so we are super excited about a new book and two book signing events. 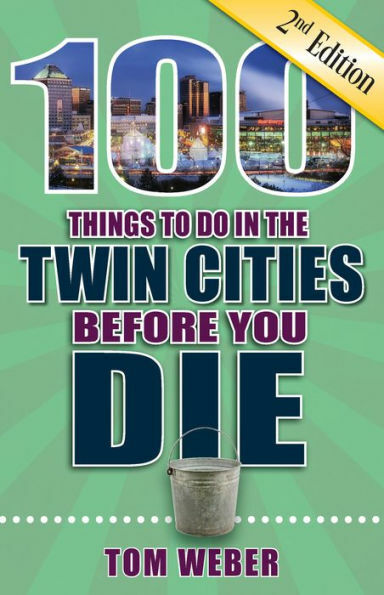 The Tom Weber 100 THINGS TO DO IN THE TWIN CITIES Book Signings are coming up October 13th. Saturday, October 13 from 9 a.m. to 12 p.m.
Saturday, October 13 from 1 p.m. to 3 p.m. Behold, the second edition of this essential bucket list guide awaits you. Whether it’s strolling the Stone Arch Bridge in Minneapolis, sipping a drink on Frost’s patio in St. Paul on a warm summer night, or biking to Stillwater for lunch on the St. Croix River, we’ve got you covered. We’re ready to introduce you to outdoor activities that will let you declare victory over the harsh Minnesota winters. But there are also plenty of things to do indoors when Jack Frost truly has it in for you. The hearty Minnesotan will know it’s a fool’s errand to let weather dictate life’s pleasures, and one hundred activities for all seasons await you. Two truly is better than one, and the Twin Cities are waiting to be explored. Enjoy some pro tips too, to enhance your adventures. Great book. The Twin Cities are incredibly inviting with so much to do if you know the area well. This book opens the Twin Cities to everyone!